If you're a comic fan who knows quality creators, I shouldn't have to do anything to convince you to pick up Doctor Who beyond mentioning who is working on it now. The script is by The Losers and Green Arrow: Year One author Andy Diggle. The artwork is by Fables artist Mark Buckingham. You need to know more? Oh, okay. I guess I can write a proper review. But it really isn't necessary. The book really is that good! Continuing the action of the first issue, our story opens upon The Doctor and The Ponds investigating a mysterious device constructed by a pair of Victorian spiritualists. Unlike their seances, the device is quite real, quite dangerous and responsible for paralyzing several people... including Rory! Concluding that the frozen people are having time stolen by a hypothetical being, The Doctor finds himself fascinated by a wonder he's never encountered before. Amy, of course, is less interested in the metaphysical implications of a man who isn't there forcing himself into existence and more interested in how the heck she's going to get her husband mobile once more. Andy Diggle's script is as good as any found on the TV series, perfectly capturing the voice of the regular cast while establishing some interesting original characters. Diggle does a particularly fine job of playing up The Doctor's arrogance and hubris, becoming more concerned about exploring a mystery than saving lives. 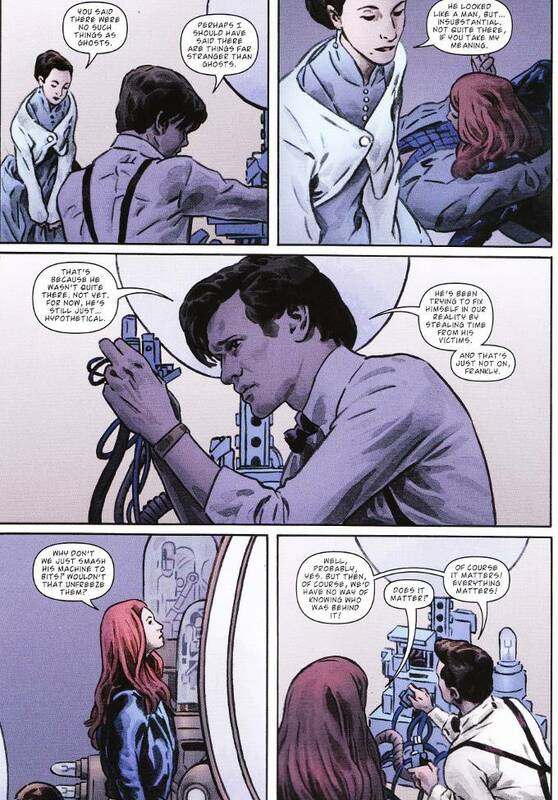 You truly feel like you're reading an actual episode - a surprisingly rare feeling with many Doctor Who comics! 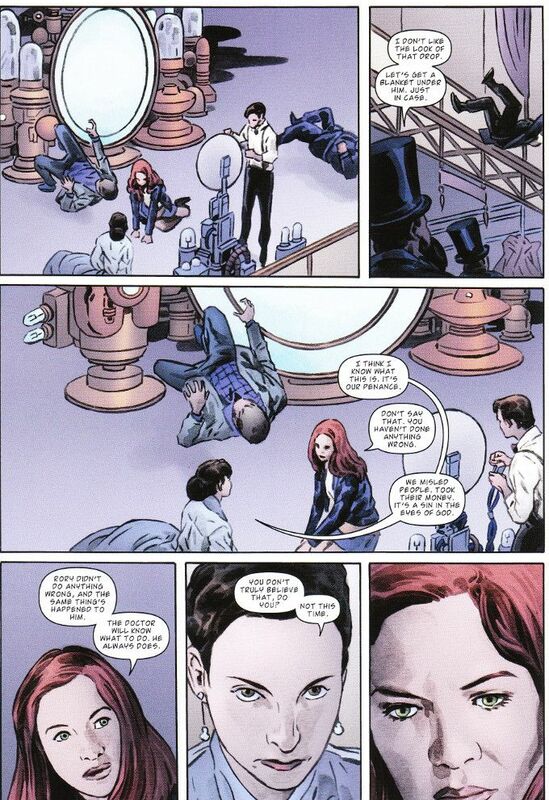 Mark Buckingham's artwork perfectly matches the script, going far beyond merely caricaturing the actors from the show. Those who only know Buckingham for his work on various Vertigo Comics series may well considering picking this book up purely for his artwork, even if they aren't Doctor Who fans. I've said it before and I'll say it again - this book is amazing and a must read for all Whovians and anyone who enjoys a good yarn.